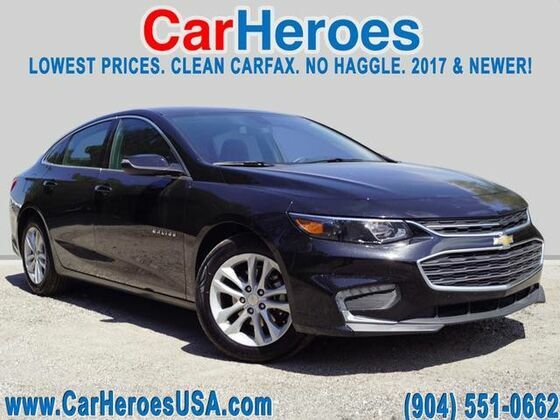 CarHeroes has a wide selection of exceptional pre-owned vehicles to choose from, including this 2018 Chevrolet Malibu. This Chevrolet includes: JET BLACK, PREMIUM CLOTH SEAT TRIM Cloth Seats AUDIO SYSTEM, CHEVROLET MYLINK RADIO WITH 8" DIAGONAL COLOR TOUCH-SCREEN, AM/FM STEREO Smart Device Integration AM/FM Stereo Bluetooth Connection Auxiliary Audio Input MP3 Player MOSAIC BLACK METALLIC ENGINE, 1.5L TURBO DOHC 4-CYLINDER DI 4 Cylinder Engine Gasoline Fuel Turbocharged *Note - For third party subscriptions or services, please contact the dealer for more information. * CARFAX BuyBack Guarantee is reassurance that any major issues with this vehicle will show on CARFAX report. The greater your fuel-efficiency, the less your carbon footprint. And with exceptional MPGs, this Chevrolet Malibu treads ever so lightly on Mother Earth. This vehicle won't last long, take it home today.